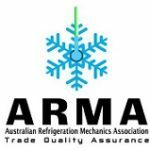 Portable evaporative coolers – FAQ’s Air-con – ARMA\’s Consumer Community Forum – Because Customers Matter! Suitable for small rooms (up to 25m2). Best positioned near an open window or external door with an opening on the opposite side of room. Water consumption can be up to four litres per hour. Water needs to be topped up regularly.